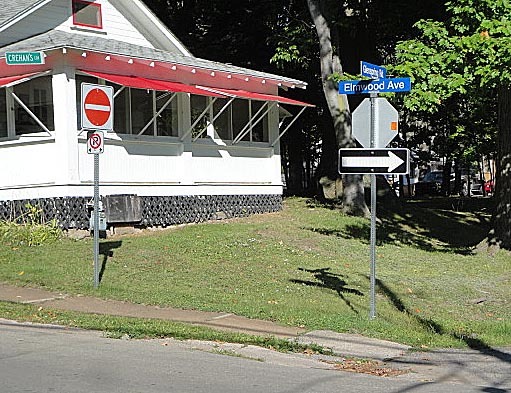 The Town of Fort Erie drew up a temporary detour around the Crystal Beach 5K run that includes a trip the wrong way up Elmwood Avenue from Glenspring to Victoria this Saturday from 9 a.m. to 1 p.m.
Town council Monday accepted “in principle” a $38,000 consultant’s study on routes and facilities that is approximately equal to this detour plan. 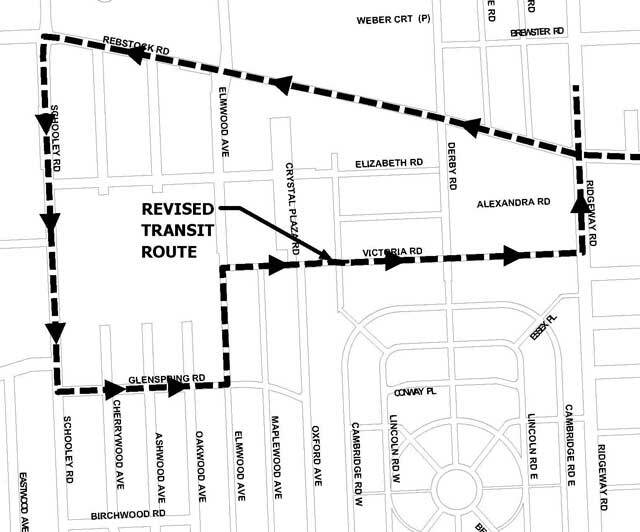 The detour map the Town published on its website and announced on Facebook yesterday is below. [Update-Oct. 5] The detour is revised this morning to have the 30-foot bus turn left 120 degrees from narrow Glenspring to Oxford — instead of wrong way on one-way Elmwood, then go uphill to turn right on narrow Victoria.